Princess Effie Jean has made a bargain with Proteus, the Old Man of the Sea, and now she’s stuck in Tahiti guarding his jewels. Boring! Even worse, she’s supposed to kill any strangers that land on the island, and the first one who shows up is her own brother. So, she and her brother have to find a way to trick Proteus. Along the way, they’re helped by vain Cassiopeia (Queen of the Night Sky), a school of flounder, and some good old-fashioned song and dance. This play is best for ages 7 to adult. Euripides didn’t write for children, and his subject matter wasn’t what you’d call G-rated. 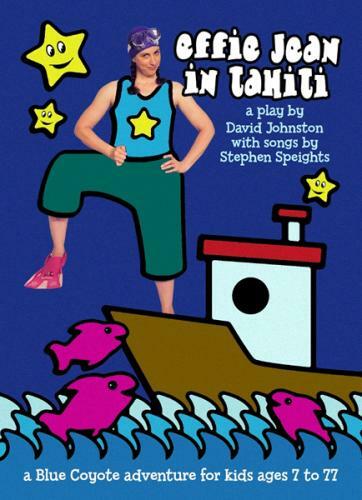 But that hasn’t deterred David Johnston, who has taken Euripides’ “Iphigenia in Tauris” as the inspiration for his own “Effie Jean in Tahiti,” an hourlong musical for audiences 7 and older. . . . The production, also reported to have echoes of “Twelfth Night,” promises to be neither Greek nor tragic.